Esteemed draftsman James Wells Champney was best known for his refined drawings and illustrations. Over the course of his varied career, he worked in an array of media, achieving particular recognition for his watercolors and pastels, and for his numerous translations of works by the Old Masters. 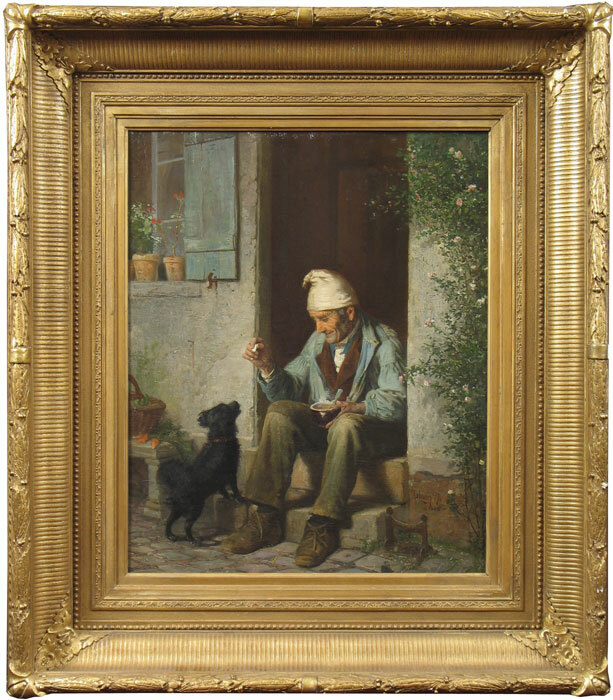 Born in Boston to the painter Benjamin Champney, he took art lessons at the Lowell Institute and apprenticed with the wood engraver Bricker & Russell in 1859. He served in the Civil War beginning in 1862, but following a bout with malaria, was discharged. He returned to Massachusetts to pursue professional art and also taught drawing at an exclusive female academy in Lexington. As part of his education, Champney studied painting in Europe. Arriving back in America in 1872, he embarked on a career as an illustrator and began a major commission for Scribner’s Magazine. Working in conjunction with author Edward King on a series of articles entitled "The Great South," the assignment took Champney to every major city in the South, covering about twenty thousand miles and producing over five hundred sketches. The graceful lines, fine detail, and scrupulous accuracy seen in this view are typical of Champney’s black and white drawings. In his work, Champney undertook a wide range of subjects—including landscapes, portraits, and travel sketches—most often working directly from the subject. His focus shifted to portraiture later in his career, when he began depicting society sitters and prominent individuals of the theater. He also produced mural decorations for the Hotel Manhattan in New York and was an amateur photographer. From 1872 to 1903, Champney served as a professor of art at Smith College, when he began working in pastel. From that time forward, he worked almost exclusively in this medium and came to be considered the best pastellist of his day.